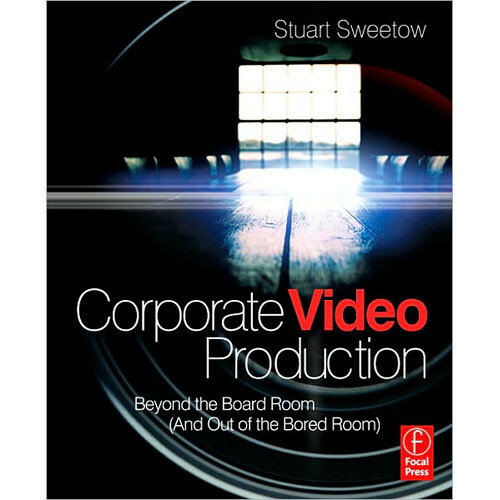 The Focal Press book, Corporate Video Production: Beyond the Board Room (And OUT of the Bored Room) by Stuart Sweetow teaches the up-and-coming videographer how to land corporate contracts. Sweetow, an industry veteran, tells you how to make your work stand out from the norm (a.k.a. boring) videos usually shot for big companies with eye-catching design, rhythmic editing tricks, and essential scriptwriting and interview techniques. The author also discusses shooting on location and in the studio, and how to work with employees-turned-actors. Additional insights include information on how to get contracts and to produce online videos and podcasts for corporations, government agencies, and non-profit organizations. Box Dimensions (LxWxH) 9.2 x 7.5 x 0.8"